The St. Louis Cardinals today announced the recipients of the organization’s 2015 Minor League Player and Pitcher of the Year awards, and for the first time since the award’s inception in 1995, there are co-recipients of the top honor for pitchers, with right-hander Alex Reyes and lefty Austin Gomber both being selected. Outfielder Stephen Piscotty, who became a key contributor for the Cardinals as they delivered a third-straight N.L. Central Division title and the ninth 100-win season in franchise history, was named the organization’s top player for 2015. 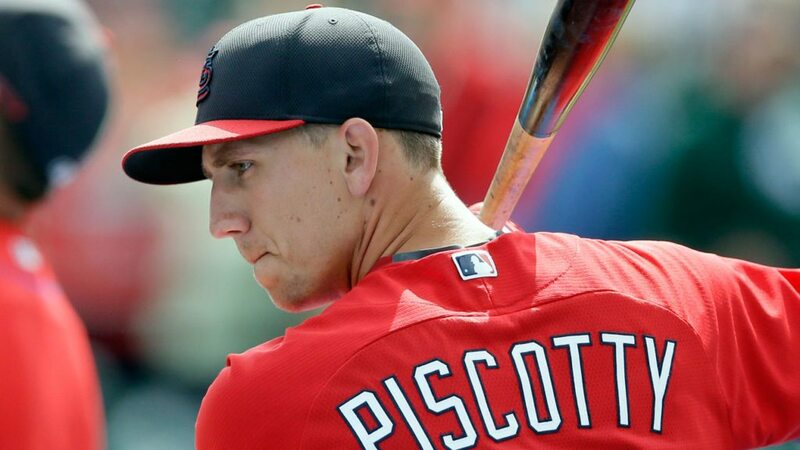 Piscotty, 24, batted .305 with 7 HR’s and 39 RBI in his 63 games played with the Cardinals following his July 21 call-up from Memphis (AAA) and ranked among team leaders in two-out RBI (23), game-winning RBI (7) and batting average with runners in scoring position (.393, 29 RBI). “Following his productive work at Memphis, Stephen earned the promotion to St. Louis, stepped in and contributed to our Major League club down the stretch and into the playoffs,” said Cardinals Director of Player Development Gary LaRocque. A former (2012) 1st round draft selection (36th player overall) out of Stanford University, Piscotty matched Matt Carpenter’s team-high 12-game hitting streak while also hitting safely in each of his first 10 games started and received voter recognition for the 2015 BBWAA National League Rookie of the Year Award. The right-handed hitting Piscotty batted .272 with 11 home runs and 41 RBI in 87 games played at Memphis before his promotion to the majors. 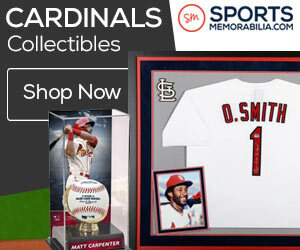 He joins Kolten Wong (2013), Allen Craig (2009) and Adam Kennedy (1999) as former Memphis Redbirds to have won the organization’s Player of the Year honors. Reyes, 21, and ranked as the organization’s top prospect by Baseball America, completed his third season in the minors, advancing to double-A Springfield while also pitching for Palm Beach (A) in the Florida State League where he was named an All-Star. The Dominican native, who was signed by the Cardinals as a non-drafted free-agent in December of 2012, went a combined 5-7 with a 2.49 ERA in 22 games started and was tabbed for the Futures All-Star Game in July. “Alex distinguished himself in Palm Beach and Springfield, pitching effectively at both the Florida State League and Texas League levels,” said LaRocque. The 6-3, 175-pound Reyes struck out 151 batters in his 101.1 innings pitched in 2015 and fanned 14 batters in 15.0 IP in his four starts with the Surprise Saguaros in the Arizona Fall League where he was named a “Rising Stars” selection. Gomber, who turned 22 today, put together one of the top single-season pitching performances in Peoria (A) history, leading the Midwest League in wins (15), strikeouts (140) and opponent batting average (.198) while going 15-3 in 22 starts on the year with a 2.67 ERA (6th in the league). A former 4th round (135th overall) selection in 2014 out of Florida Atlantic University, Gomber won 14 consecutive decisions following his last defeat on April 29 – the longest winning streak by a starter in all of Minor League Baseball in 2015. Gomber becomes just the third pitcher who spent a full season at Peoria to have won the Cardinals Minor League Pitcher of the Year award, joining Tyler Johnson (2002) and Britt Reames(1996). Piscotty, Reyes and Gomber will be presented their awards at the 58th annual St. Louis BBWAA Awards Dinner on Sunday, January 17, 2016.